The Healey School is fortunate to have many vehicles for community leadership and volunteerism, including the Friends of Healey Organization, a Parent Teacher Association (PTA), a Site Council, and other Action Teams focused on specific initiatives. All groups share a commitment to collaborate together in the best interest of the students and the Healey community. The Friends of Healey Organization (FoH) is an independent group, not associated with a national organization like the PTA. All Healey staff, parents, and administrators are members of the FoH, and there is no membership fee. The goal of the FoH is to realize the mission and vision of the Healey School through collaboration by planning events, fundraising for activities, and creating infrastructure for coordination and communication. 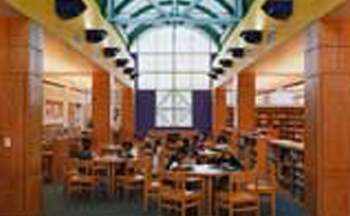 The creation of the FoH was recommended by the school committee and established by the Healey Site Council to foster parent involvement at the Healey School. The FoH is run by a team including the principal, parent chairs (nominated and elected) and staff liaisons to FoH. All are invited to share concerns and ideas at community meetings. There are many committees and chair roles that operate within FoH, from enrichment and the garden to hiring and room parents. FoH activities include creating and distributing the Healey Family Directory, Arts Festival fundraising event, lunchtime concerts, and hosting community meetings. We are thrilled to report that the combined generosity of Porter Square Books and the Healey community raised $1236 for the sole purpose of purchasing books for the school library. In addition, 32 books were donated directly to the collection from Ms. Rocha's Wish List. Wow!!! It was a fun night full of good community cheer and wonderful to see Healey families, Healey staff, and a number of alumni come together through a love of books and reading. If you shop in the store at any point soon, please make sure to say a big thank you to PSB for their support of our students. We are lucky to have a special relationship with this community-minded independent book store. There are still a few books on Ms. Rocha's Wish List that were not purchased. Please email me for a list of titles that you can purchase at your convenience and bring it to either Ms. Baxter in the office or directly to Ms. Rocha in the school library. Copyright © 2019 Friends of Healey. Powered by WordPress. Theme: Spacious by ThemeGrill.